For Simon Han, window shopping really paid off, sparking his “ah-ha” moment to start Yoogiscloset. Simon was vacationing with his wife, Eugenia Han, in Japan, checking out the various shops in the fashionable Ginza shopping area. Simon noticed that the side streets were loaded with consignment stores. Not dumpy, attic-smelling thrift stores, but extremely high-end stores that mimic the feel of an actual Louis Vuitton store. On one side street alone, Simon counted ten to twenty high-end stores selling pre-owned handbags. That’s when inspiration struck: how about a business to start an online version of shops that buy and sell pre-owned luxury goods? Upon returning to the U.S., he dove into researching the idea. At first, Simon was hesitant to start a business with his wife. He’d heard all the horror stories of how working with a spouse can create major friction in a marriage. He took all the advice in stride, plowed forward, and has never looked back with regret. It’s been all good between the two of them, and Eugenia’s nickname “Yoogi” sure sounds better than Simonscloset, which has a creepy feel (in my humble opinion). Yoogiscloset employs twelve people and is now the leader in the online space for buying and selling pre-owned, authenticated luxury goods. Simon firmly believes that they do the best job of sourcing goods. He’s streamlined the procurement process into a competitive advantage. Another point of pride is Yoogiscloset’s unblemished track record of never selling a single counterfeit. Allowing even one would kill client trust. The high level of authentication does slow down the sales process, but the tradeoff is non-negotiable. Simon sees fakes on competitor’s sites, and he is not willing to risk Yoogi’s trusted brand. Simon was not a stranger to starting up a company before Yoogiscloset. He started CarDomain Network, Inc. in the late 90s, which enjoyed phenomenal growth along with the evolution of the Internet and social networks, and his former company continues to do well. 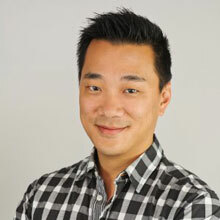 Simon’s experience at CarDomain has informed his leadership style at Yoogiscloset. Here are some tips he shared with me. At CarDomain, Simon was shocked when an employee was caught completely off guard by something in his performance review. Simon thought to himself, “What’s wrong with this person? Do they really not see this?” But now he realizes that blindsiding his employee meant he had goofed as a manager. Now, Simon delivers constant informal feedback and believes there should be no surprises during the annual review if the manager has properly done their job throughout the year. I like surprises in many contexts, but I despise them when it comes to evaluating performance. If I’ve done my job as a leader, then my team should know exactly where they stand. No surprises. And it should be mutual. In fact, when we do contract-to-hire agreements, I always ask at the end of each month, “if your contract were to end today, would you be all in?” This provides me a good pulse on where the candidate stands. I will also answer the same question, so that the candidate knows if they have my full support and enthusiasm. Always err on transparency. At Yoogiscloset, performance and compensation reviews are linked together and conducted in one meeting. However, CarDomain management separated reviews by several months since they conducted a lot of peer-on-peer 360 reviews. This separation engendered better peer feedback during 360s. The time interval decreased the perception that meaningful constructive feedback would ding the person during the compensation review. Simon decided to combine them at Yoogiscloset because with only twelve employees, it’s more manageable to integrate the two. Plus they do not conduct any 360 peer reviews. Eighty percent of the annual review meeting focuses on results of the past year, and twenty percent is allocated towards goal setting for the upcoming year. Simon was challenged with upward reviews while at CarDomain. How can one provide anonymous upward feedback and include detailed examples? Answer: bring in an outsider. The consultant interviewed Simon and all the VPs. Then the consultant delivered the upward feedback to the CEO. Simon found that talking to the outside consultant helped depolarize the situation and made people feel more comfortable providing candid feedback on their boss’s performance. Many fast-growing companies, claiming to be too busy growing, elect to skimp on performance reviews. But after window-shopping management styles, Simon has adopted the best parts of the performance review process from CarDomain and customized them for Yoogiscloset. He combined the performance and annual reviews since his company is smaller, yet he stripped out the 360 peer-review assessments since they are very time-consuming. At CarDomain, some managers would do ten performance reviews at a time. I look forward to seeing how Simon continues to adapt his review process as the company grows.